Sebastian and Chris with 팬. Wizard World 2016 - two 팬 cosplaying Stucky. Wallpaper and background images in the Chris Evans & Sebastian Stan club tagged: sebastian stan chris evans evanstan wizard world photo op fans fan stucky cosplay. 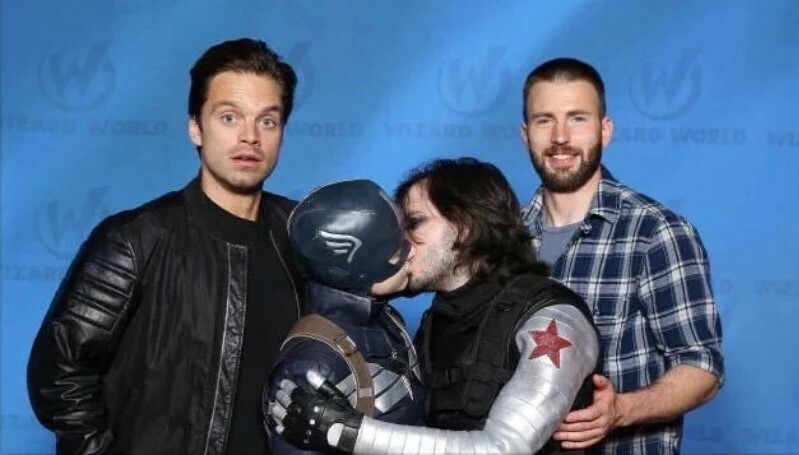 This Chris Evans & Sebastian Stan photo might contain 창구, 개찰 구, 작업복, and 골프 가방.